The Biotechnology and Biological Sciences Research Council (BBSRC) is seeking to support cutting edge, innovative and ambitious research that addresses key fundamental questions in bioscience. The indicative budget for this call is up to £16 million, subject to the quality of applications received. Proposals must be over £2 million [100% full economic costs (FEC) project value] and can be up to five years in duration. 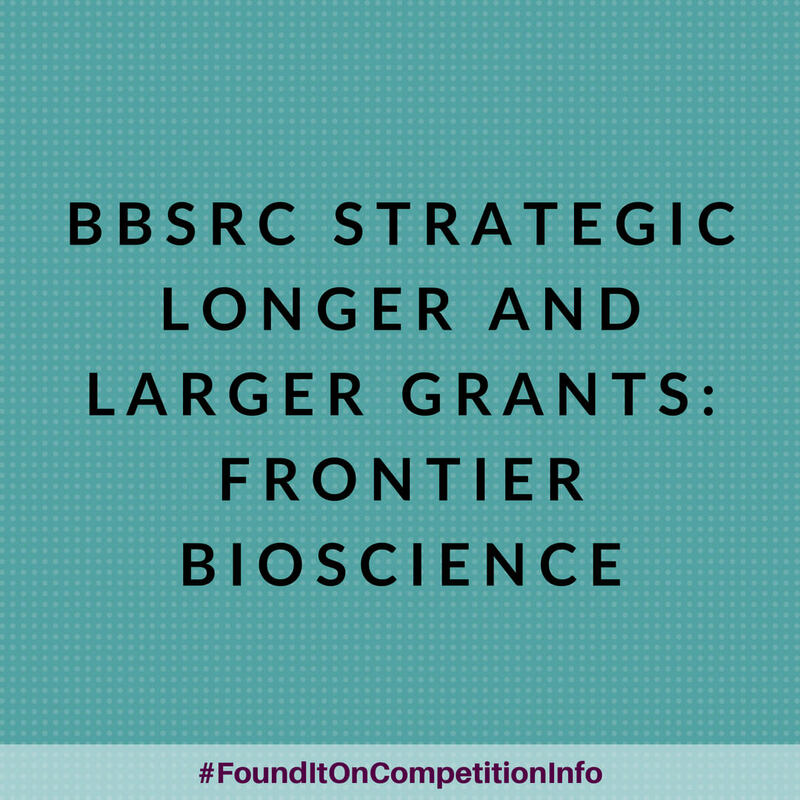 The BBSRC anticipates awarding 3-5 sLoLa grants in the 2018/19 call.